Classroom Freebies Too: Oh, Do You Know the Pronoun Song? Oh, Do You Know the Pronoun Song? I am happy to say that I know the pronoun song. My kids have even asked for copies to go in their homework journals so they can sing it to their parents. I bet my parents are just as excited as I am. HA! 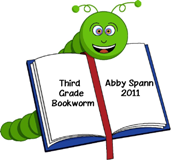 I'm happy to share it with you - Come on over to Third Grade Bookworm to get your copy!